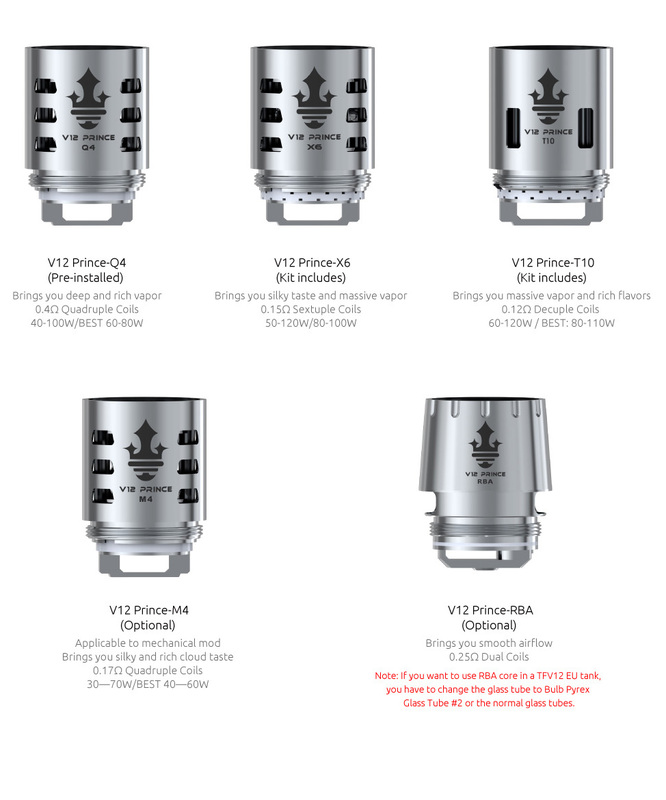 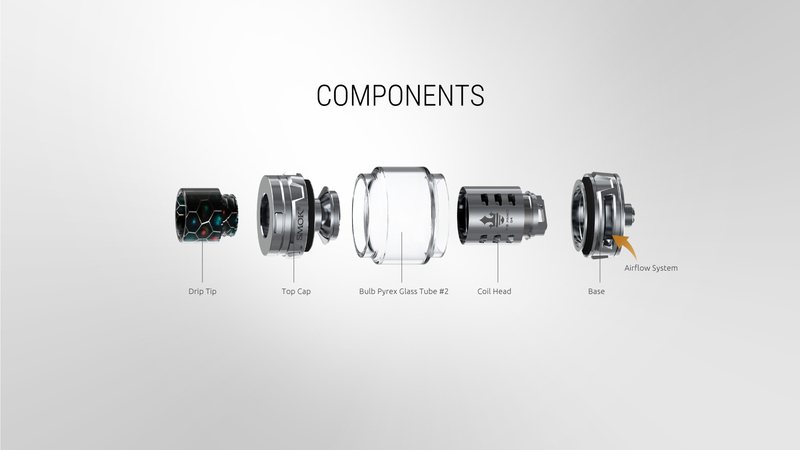 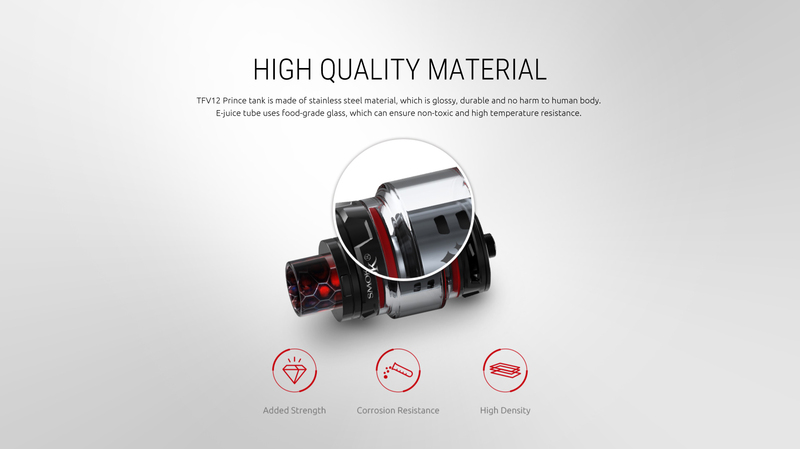 The SMOK V12 Prince X6 Core Kit includes three new coils: Prince Q4, X6, and T10. 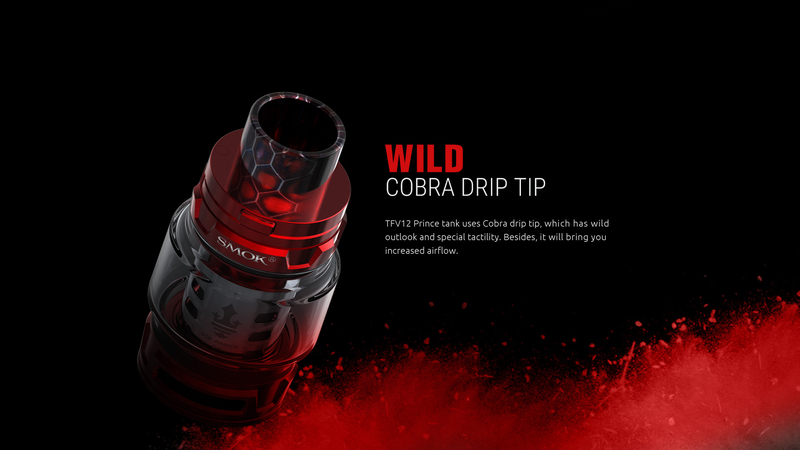 All three coils are capable of producing massive cloud and dense flavor. 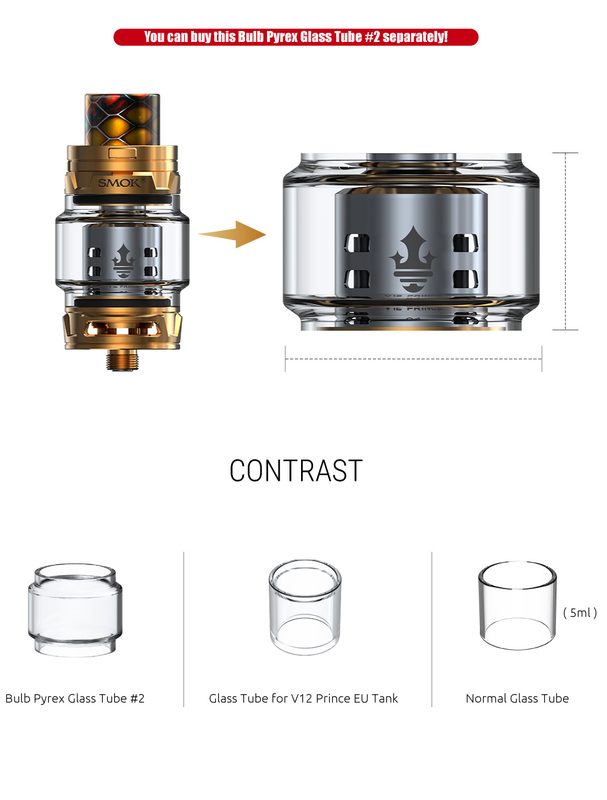 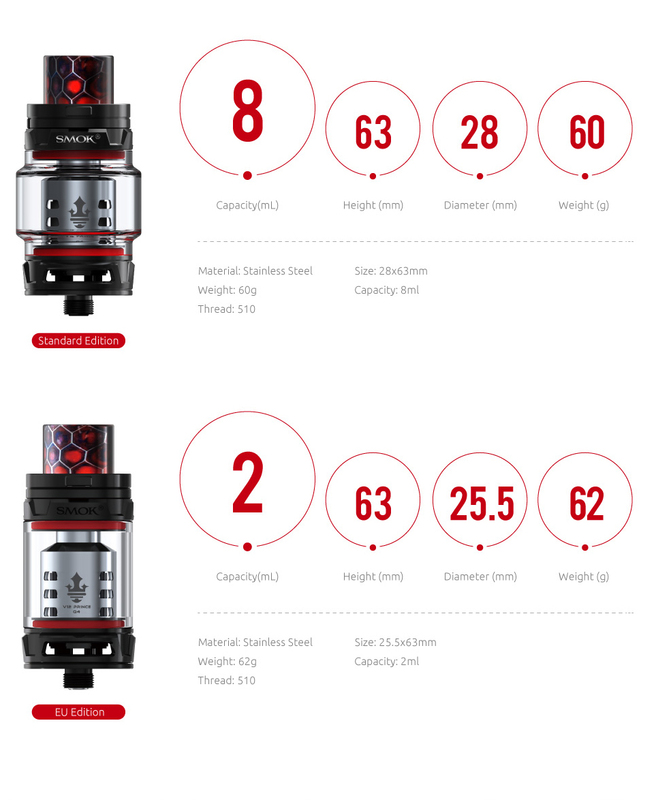 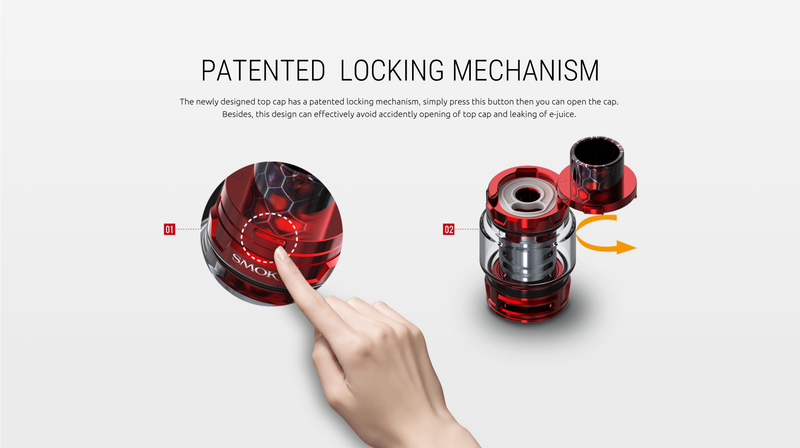 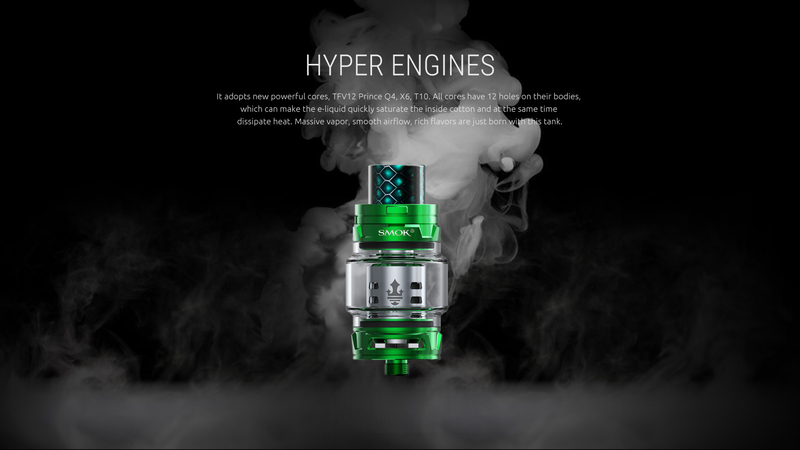 The TFV12 Prince Baby Beast Tank is one of the powerful cloud beasts due to its convex glass tube structure with a crown style structure and colorful Cobra resin drip tip. 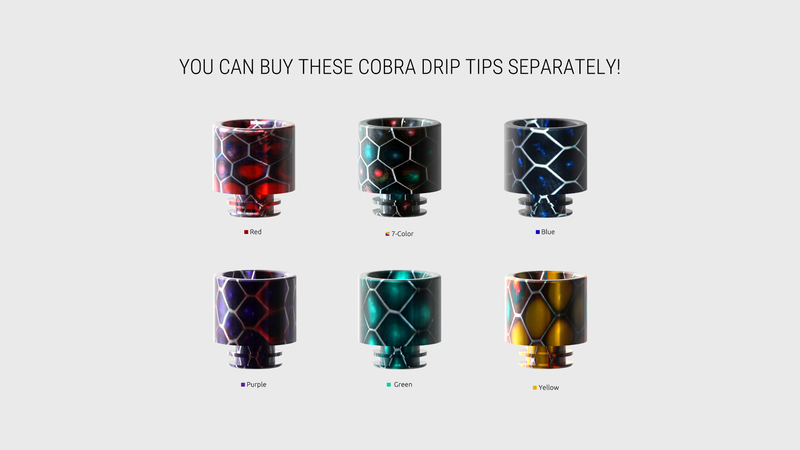 The colorful resin drip is available in various colors and is sold separately. 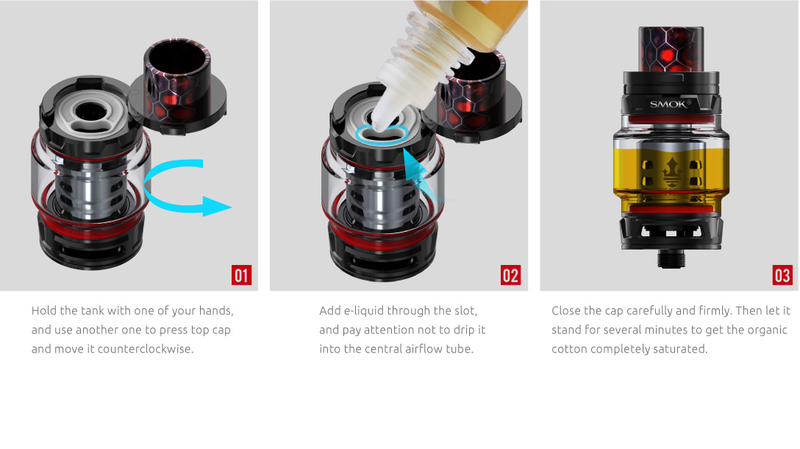 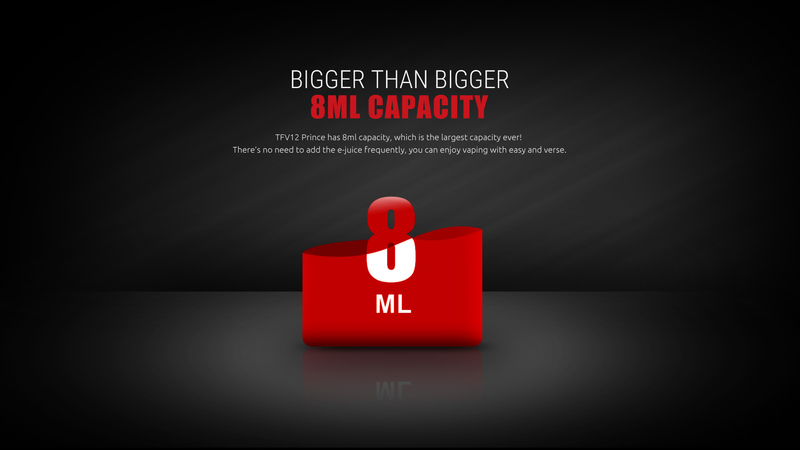 The expandable capacity of the tank goes up to 8ml of liquid. 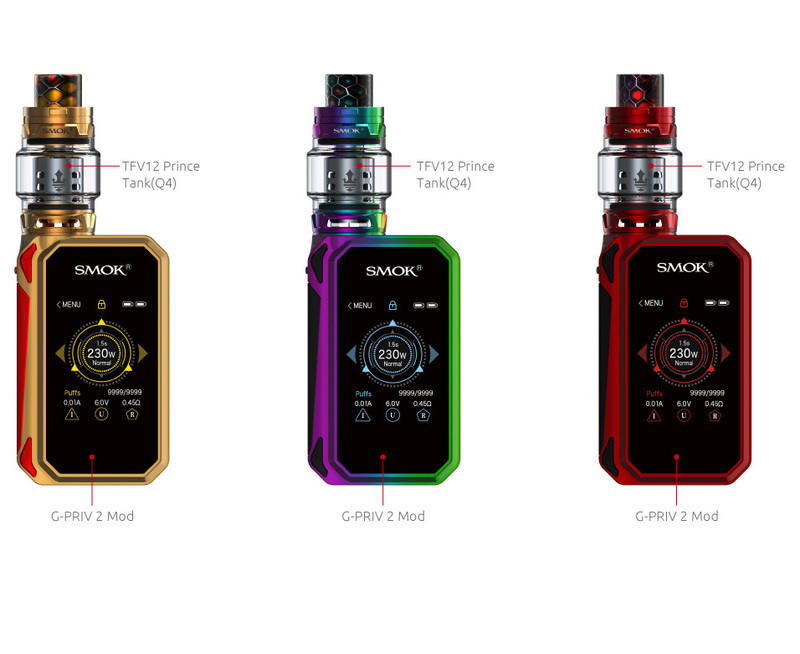 Easy top fill, leak-proof, patented locking system makes it compatible with G-PRIV 2.